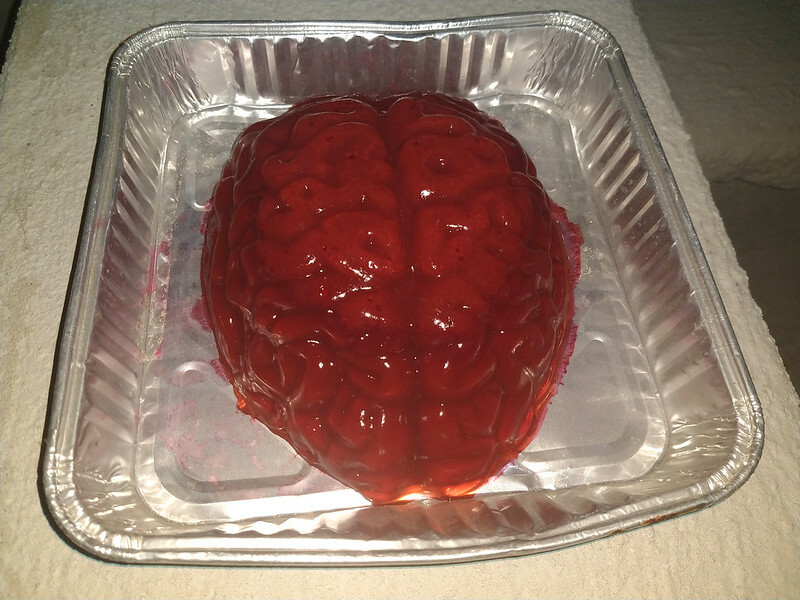 I only have one mold like that - a brain mold, that Jello gave away at Halloween years ago, for "free" - only $2.50 shipping. I got $4 worth of coupons, but never used them - gave them to somebody I knew would. Here was this year's brain I had out on the steps. It was a little too clear - Usually I make it with something to make it opaque, but didn't have anything on hand at the time. I made it with agar, as that will stay firm at warmer temps (and it was warm this year!). I love Halloween and all the treats my son's Aunt makes for their get-together (before the kids go out). She makes witches fingers (that are 'bleeding'), spider web cookies, all sorts of cool things. The kids love it. The funniest thing that happened related to that brain at Halloween was when a neighbor lady of Mexican descent came by with some her kids and some others, and while the kids were freekin' out about it she tells them "You know that's no real brain! ", and I said something like "Oh, I see you've cooked with them,too," and we started talking about some of the things we've done with them, and the kids went running away screaming "Ooooooooo!" She has probably fed them cerebros de cerdo a number of times, and they didn't know it!